A beautiful look for the festive season, this stylish, red lace top is a stunning look for a party or special occasion. 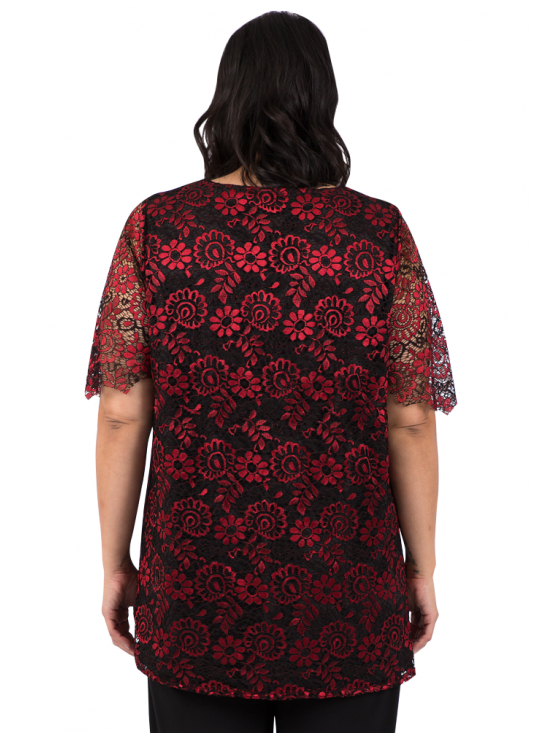 With a square neck with princess cut at the bodice, it features gorgeous red and black lace with soft, black lining through the body, with unlined, scalloped matching red sleeves and swing through the hem. Comfortable and flattering to wear, team it with Black Coulottes of Fun for a classy, formal look.